MOMI INVITES/ Summer Reading Camp now on its 3rd Year! Get ready to see Filipino stories come alive and take home a part of them with you thru art- as we open our doors for the 3rd Summer Reading Camp this April 17, Sunday, from 10am to 4pm! It will be a whole day of reading, storytelling and art activities for kids aged 3-12! STORYTELLING CORNER – where thay will listen and watch as children’s stories come alive via The Storytelling Project team and Ms. Isa Mijares. ADVOCACY CORNER– where our partner NGO Black Pencil Project will be hosting a Paint-a-Pencil activity where blank pencils will be designed by kids and parents, and will be donated to BPP’s partner schools nationwide. Aside from participating in these events, Adarna House will also be selling books on site at affordable rates. An exciting surprise awaits the first 20 early birds (to arrive on the day) from our partner La Pomme Home. Plus you can bring home a souvenir photo from our photobooth. 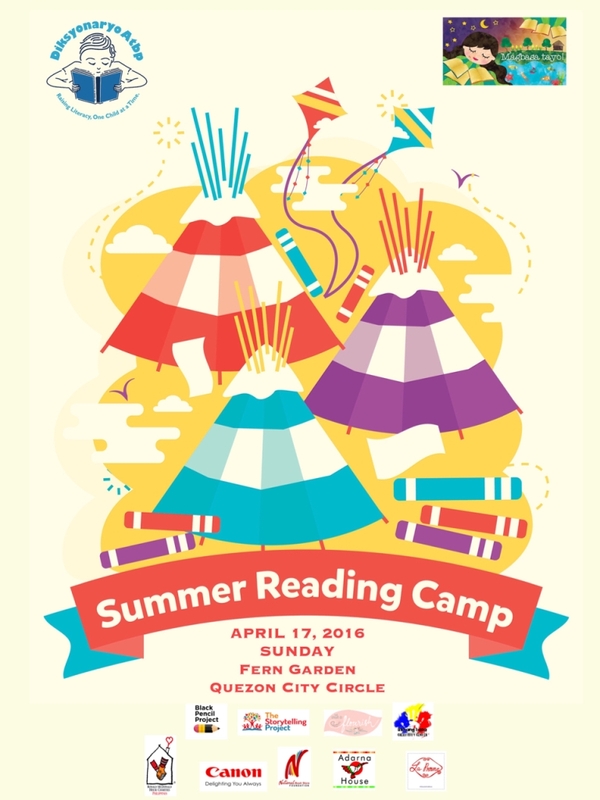 This event aims to rekindle and encourage a genuine love for reading in Filipino children, by spending one whole day doing reading related activities, ALL FOR FREE. The event is in partnership with Black Pencil Project, The Storytelling Project, La Pomme Home, Canon Philippines and McDonalds.